A cold and dry winter is being predicted for the north east. A rumor was going around that if corn doesn't peek out of their husks by harvest time, a cold winter is coming. Someone said a local farmer admitted that he hadn't seen so much as a kernel. The geese know something. They are honking their departure while flying overhead in a southerly direction. This is the time of year that makes me want to delve into some good reading, but alas, my reading life has really been a closed book since becoming a mother. It's so hard to find uninterrupted time to really engage in a good story. That's why I was very excited when an unexpected gift arrived containing a light, fun, and cozy book that I could really take my time reading. 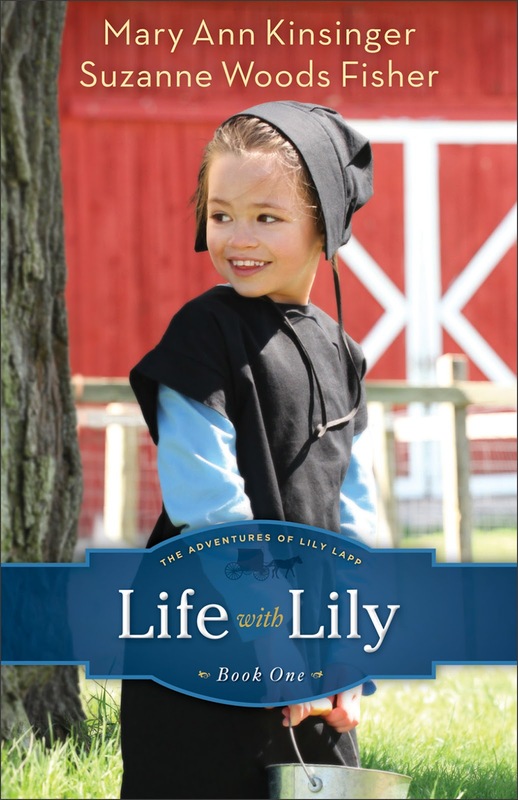 My lovely friend Mary Ann Kinsinger is making quite a splash with her book Life with Lily, the first in a series, and a cooperative effort with author Suzanne Woods Fisher. The book is based on her childhood, and I love Mary Ann's wholesome and authentic recollections. This would be the perfect book to read aloud to your family, because all ages can enjoy it. One of Mary Ann's writing talents is the ability to express a child's point of view, so that you can really identify with how the child thinks and why they say such cute things. For instance, when Lily's younger brother was born, she is told by her father that God brought him. She immediately wonders whether God is still visiting at their home, and if so, will she get to meet him? It's not an equal comparison, but the feel of the book reminds me of The Little House series, which is also beloved by children and adults alike. It's good, clean family entertainment. If you haven't seen Mary Ann's blog A Joyful Chaos, do check it out. I loved the Little House Series and from what you describe I bet I'll like this series as well. Hard to find good books for my kids to read, glad for your suggestion. I'm glad I decided to follow you! I agree - great reading! I wanted to read it because of Mary Ann but wasn't sure a "children's" book would really keep me interested all the way through, but it sure does. It really is a good book, and like I told her (in her comments) I almost like it better than Little House because it's a family living differently than most families of their time. It's going to make a great Christmas gift for some loved ones. Me, too! I just wish I knew you back then so I could help tell the stories! ... by the way, where is the fence with the pumpkins? I came here to see a fence with pumpkins! :-) Oh, and I LOVE Mary Ann's book!!! I read and reviewed this book and found it delightful. I have seen several other bloggers talk about this book so I am assuming it must be a popular read right now ..